We bring over 30 years of experience to your home and add a superior level of quality, integrity, and craftsmanship all at a great value. We welcome you to discover how we can help you with your next home renovation project. Below you will see the different types of services we offer. 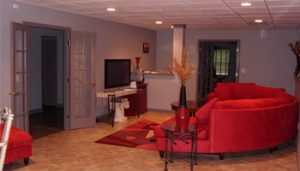 The Remodelers, Inc. specializes in taking unfinished space in your basement and turning it into a new living area you’ll truly enjoy. 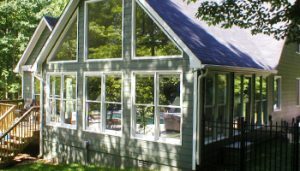 From our design assistance to our innovative construction techniques, we will transform the existing unfinished space into a custom design suited specifically for you. Finishing the basement in your home not only gives your family more space, but greatly improves your home value as well. In fact, a finished basement is the most economical way to additional living space to your existing house. There’s nothing more exciting than a new room addition. Whether your adding a sun-room, kitchen or master suite, it all starts with an idea. The Remodelers, Inc. specializes in taking your vision and turning it into reality. A room addition allows you to remain in the home and neighborhood you love and get the dream house you’ve always wanted. Reclaim the space under your deck by adding a ceiling that will turn an unusable area into a beautiful outdoor patio. No other room in your home gets the attention like your kitchen. The Remodelers, Inc. understands the importance of these rooms for every family. From the design concept throughout the project, we are experts in creating dream kitchens. The Remodelers, Inc. is a proud member of the National Kitchens and Bath Association. 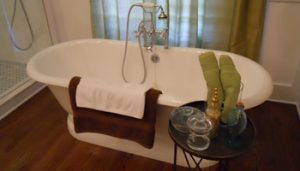 No other room in your home gets the attention like your bathroom. The Remodelers, Inc. understands the importance of these rooms for every family. From the design concept throughout the project, we are experts in creating dream bathrooms. The Remodelers, Inc. is a proud member of the National Kitchens and Bath Association. There is a special feeling of being outdoors. Screened in porches or outdoor patios are perfect spaces to enjoy the outdoors. Whether you want to enjoy the sunrise or sunset, or entertain in an outdoor room, The Remodelers, Inc. can create that outdoor space for you. 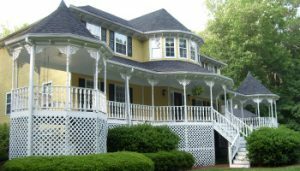 Customize your porch with amenities such as electrical outlets, ceiling fans, cable TV, spa tubs, or cooking appliances for eating and entertaining. Gazebos enhance the enjoyment of your home's exterior. 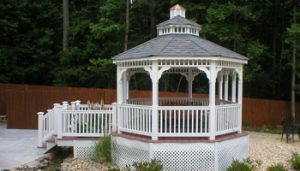 Customize your gazebo with amenities such as electrical outlets, ceiling fans, cable TV, spa tubs, or cooking appliances for eating and entertaining. The Remodelers, Inc. can create any size or style gazebo you can imagine. 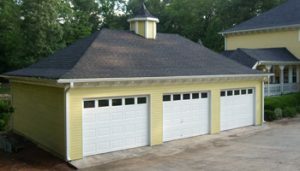 When you need a garage addition, the most important aspect is incorporating the structure into the existing architectural design without looking like an add on. 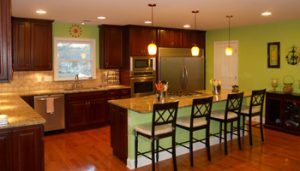 The Remodelers, Inc. specializes in blending the new with the old. We will create the space you need with your new garage and make it look as if it were always there. Decks enhance the enjoyment of your home's exterior. 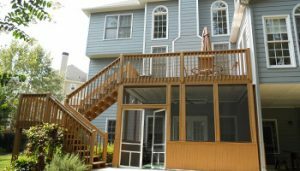 Customize your deck with amenities such as electrical outlets, ceiling fans, cable TV, spa tubs, or cooking appliances for eating and entertaining. 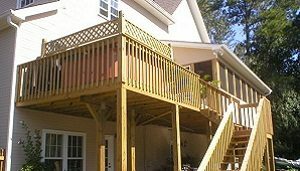 The Remodelers, Inc. can create any size or style deck you can imagine. Pergolas also enhance the enjoyment of your home's exterior. 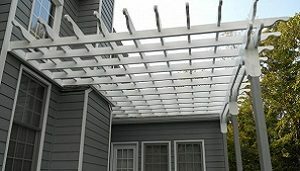 The Remodelers, Inc. can create any size or style pergola you can imagine. The Remodelers, Inc. can build almost any custom idea you dream up. 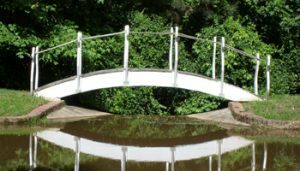 From custom-designed playhouses, children’s beds, furniture, bridges, and more, we take pride in building your unique project.